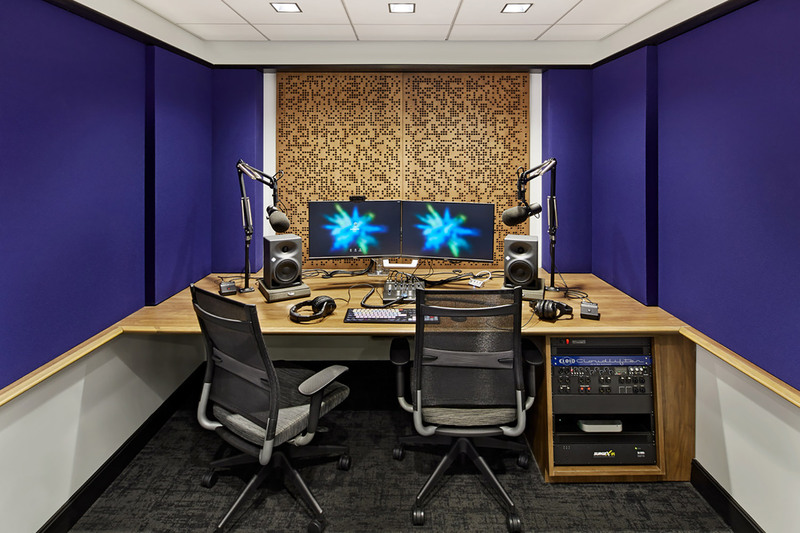 Podcasts currently reach over 73 million affluent, highly educated and exceedingly mobile listeners in the U.S. alone. 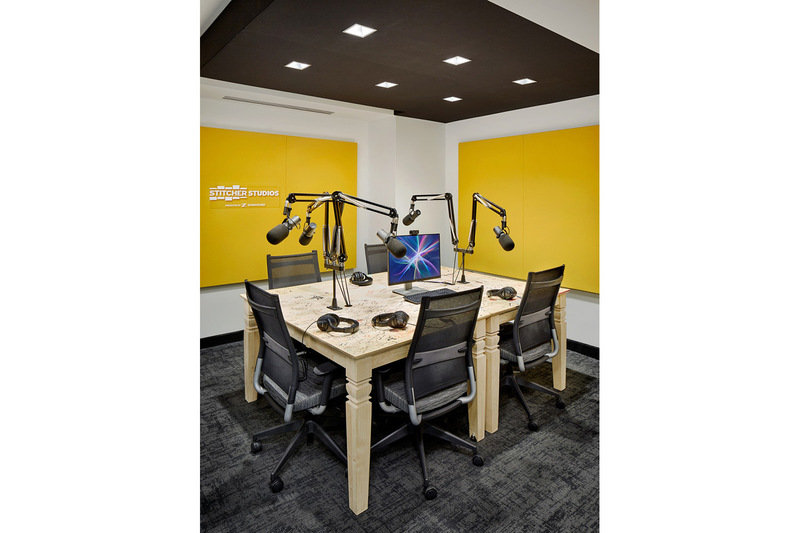 And, Stitcher is among the earliest, the most creative and most successful proponents of this vibrant medium. 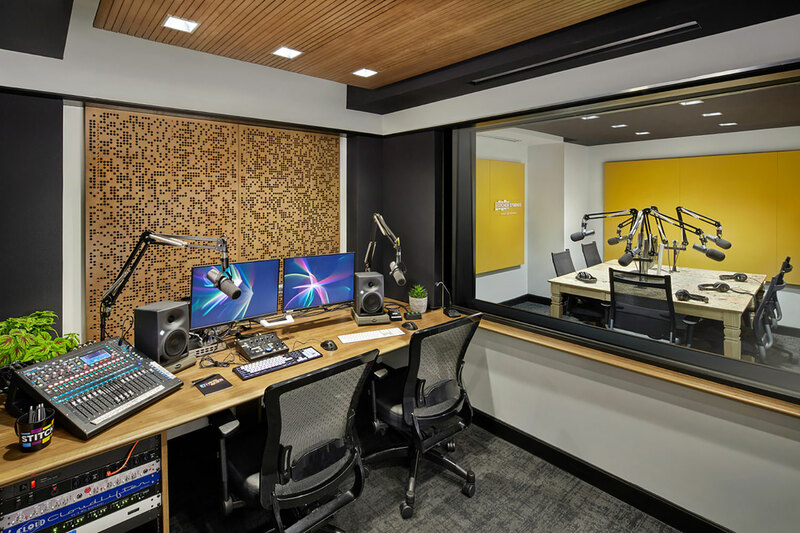 Providing a 360-degree suite of production, distribution and monetization services to artists, entertainers and thought leaders/Stitcher is the parent company of leading comedy podcasting network, Earwolf, as well as Midroll, the company’s advertising & sales arm. 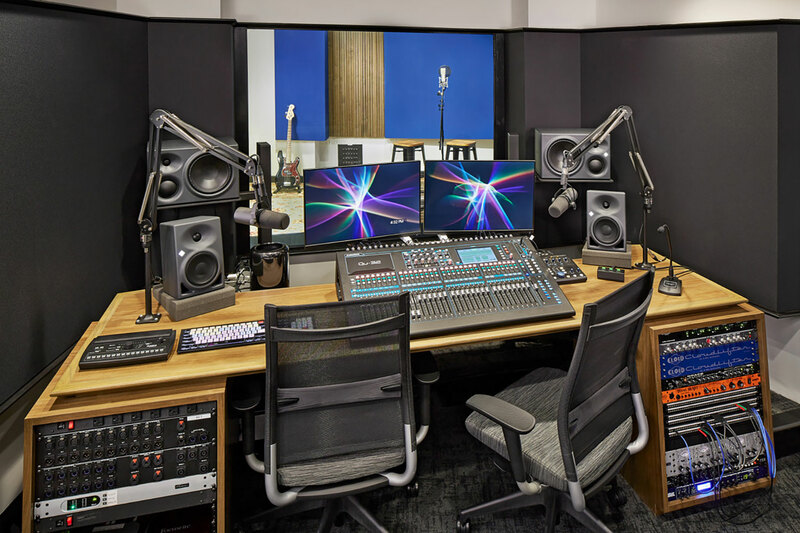 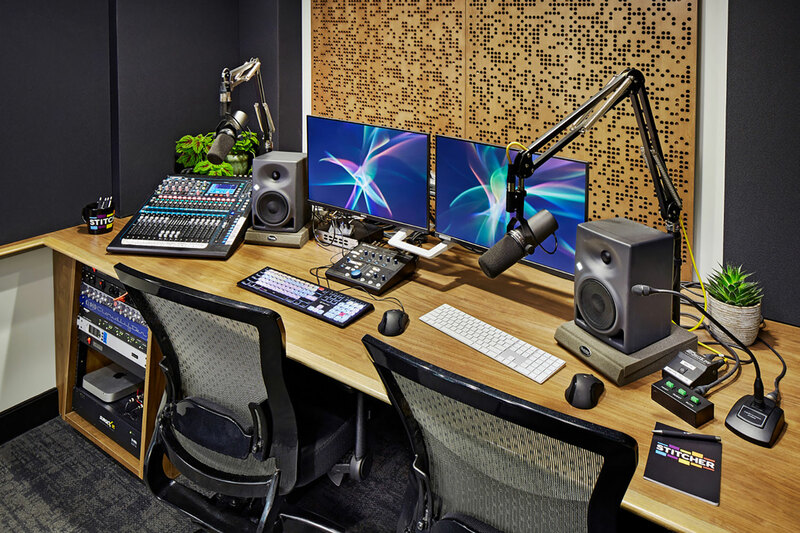 To better service the creators and producers that the company works with, Stitcher’s management team made a move to build out larger production facilities in both its New York and LA offices. 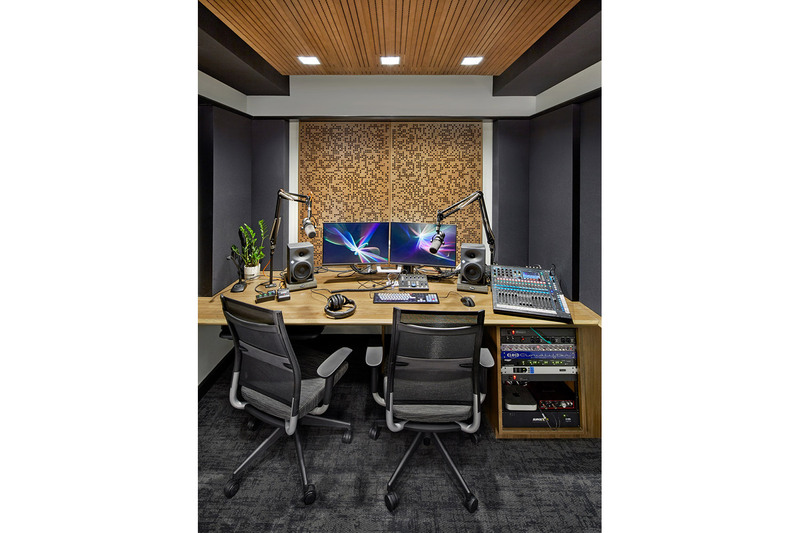 A comprehensive search for the best studio architect/acoustician led chief engineer John DeLore to WSDG Walters-Storyk Design Group. 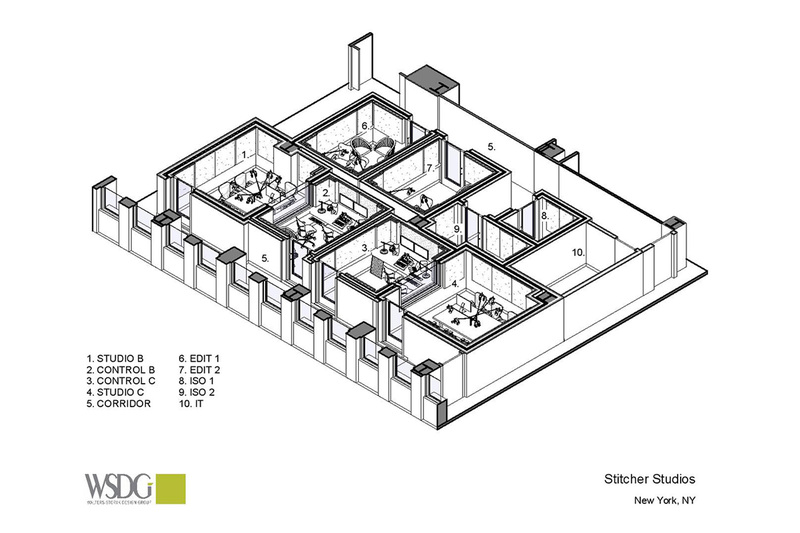 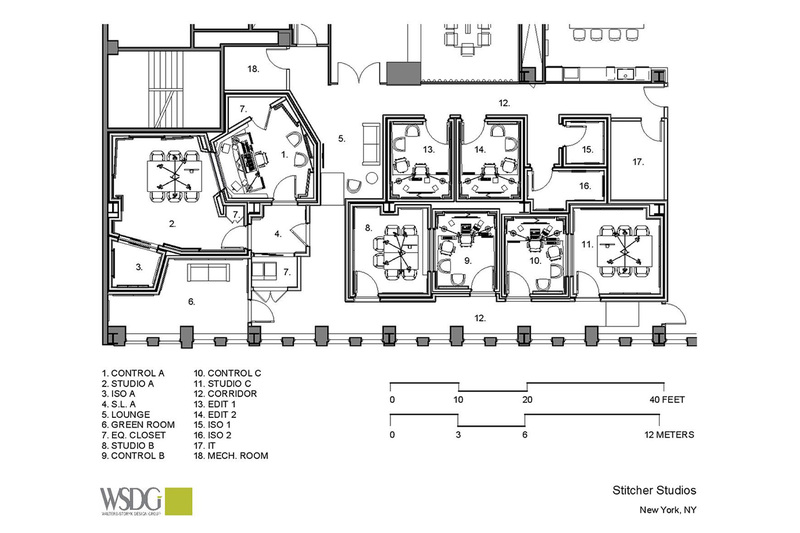 Romina Larregina believes Stitcher’s studios epitomize the concept of uncompromising attention to detail. 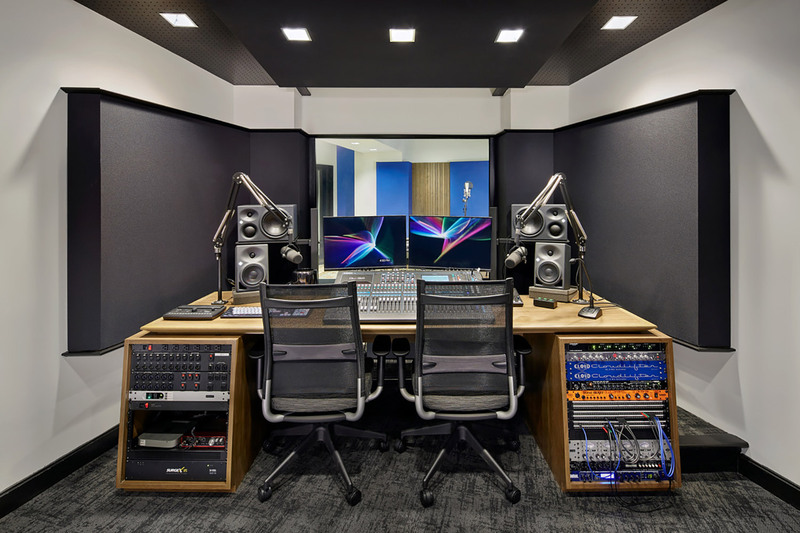 “Decoupled floors, wall and ceiling structures were implemented to insure the level of isolation required between the various studios positioned adjacent to each other,” she says. 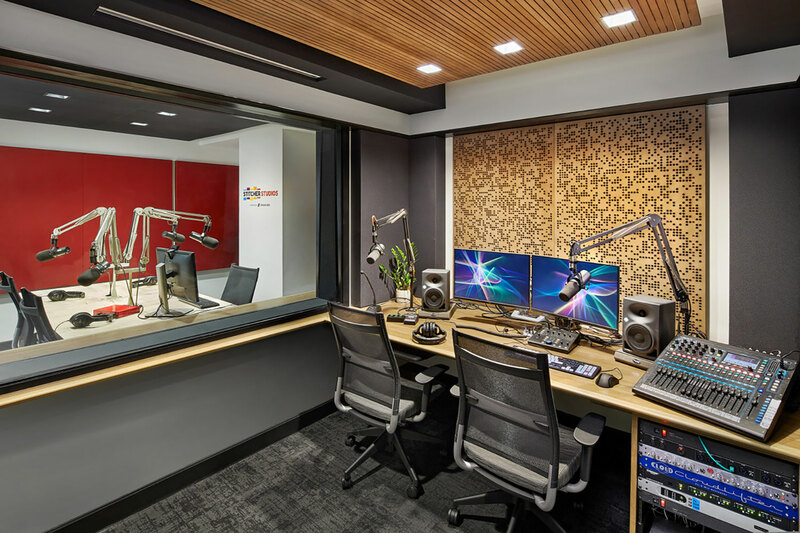 “A clean, bright, straightforward floor plan optimizes every inch of allotted floor space with the most appropriate acoustic treatments to further enhance the overall high quality sound environment. 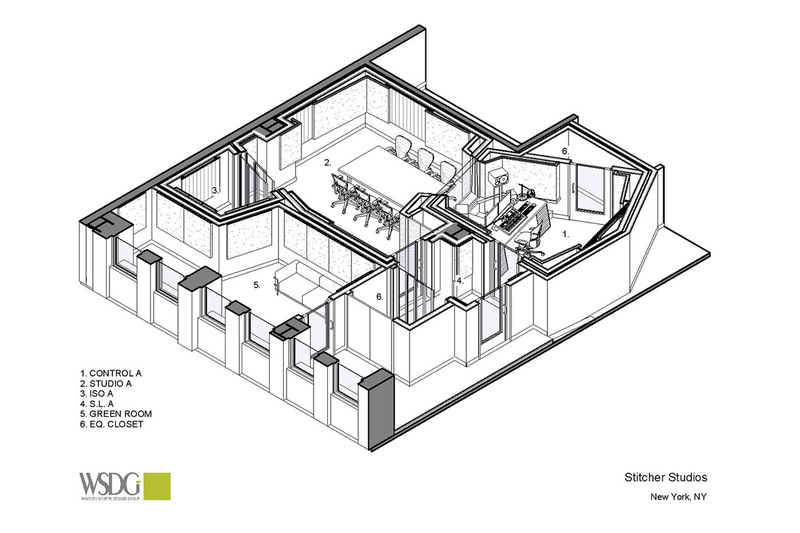 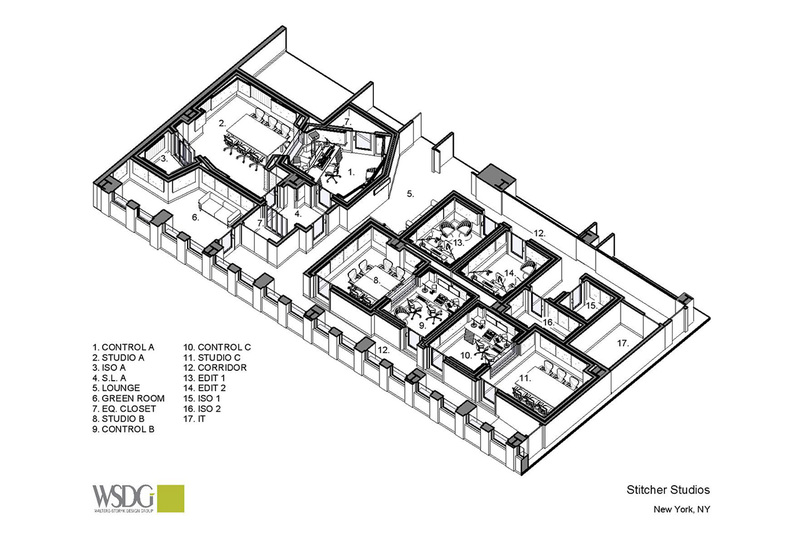 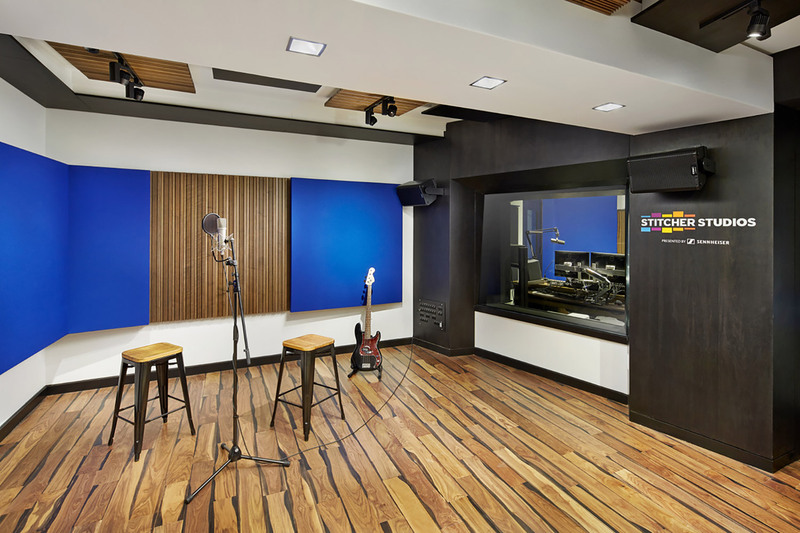 The Recording Studio was designed to set frequent musical guests completely at ease for their performance sessions. 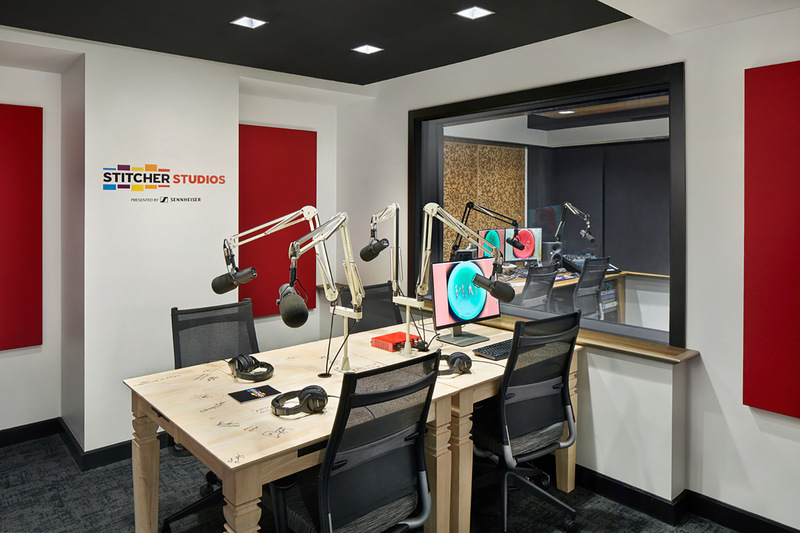 Stitcher Studios represent a new standard for podcast production,” she concludes.